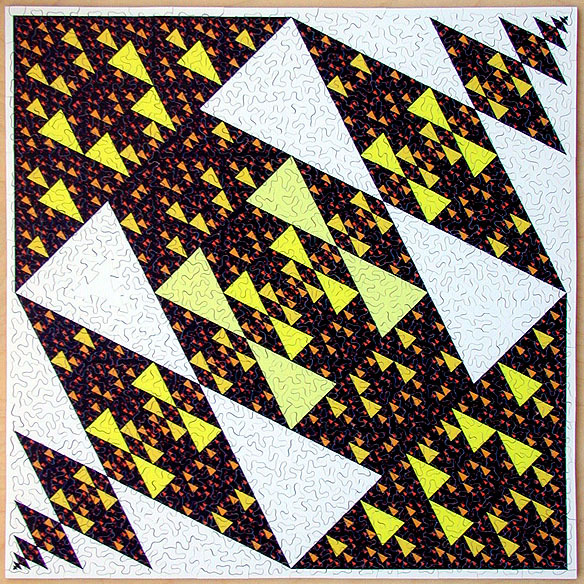 Spectra is my first puzzle featuring my own artwork. 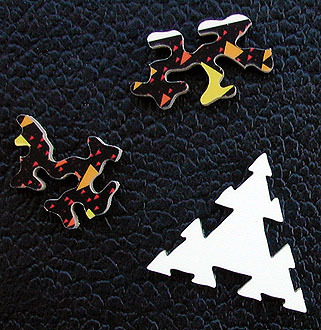 This puzzle is difficult to assemble, something to keep the puzzle enthusiast up late at night! The puzzle also contains a puzzle cutting trick involving several pieces which may fool you... maybe not. If you order Spectra... when I cut it for you, I'll cut another trick into the puzzle (maybe better?). Edit: The trick was a little bit of double cutting in the white edges, so pieces could fit more than one way. Did not pursue this. 12 1/2" by 12 1/2"